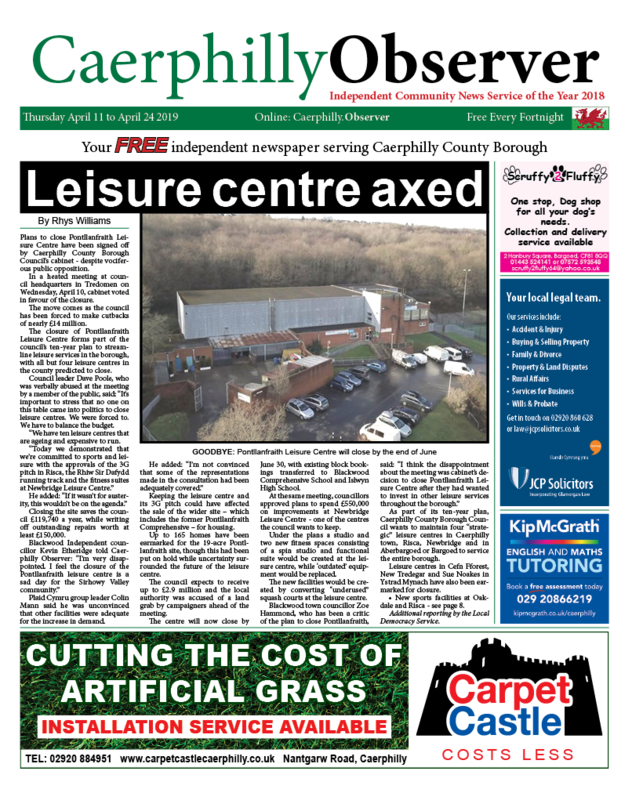 News | Rhys Williams | Published: 17:00, Monday February 4th, 2019. 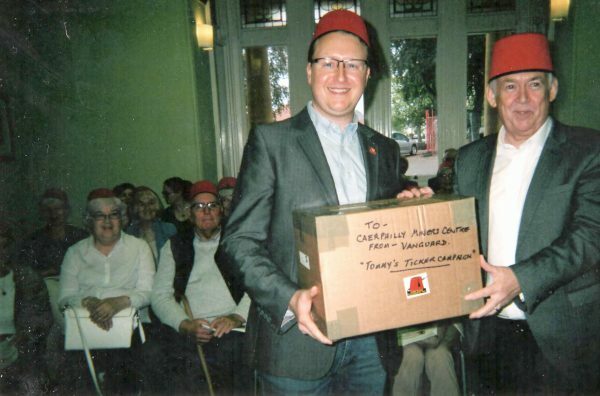 The Tommy Cooper Society will mark the month of February by campaigning and fundraising for more life-saving heart defibrillators. The society has launched “Defibuary” as part of its Tommy’s Ticker campaign. The group will be focusing on raising awareness of heart disease and encouraging businesses and organisations to install defibrillators. The campaign was launched in 2013 to honour Caerphilly-born comedian Cooper, who died from a heart attack while performing on stage in 1984. Throughout the month, the society will continue to fundraise to install the heart equipment in more places across the county borough. 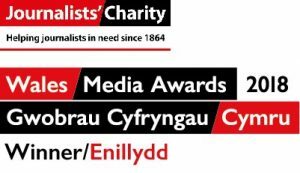 So far, the group has raised funds for 12 defibrillators, with the most recent being donated to the Caerphilly Miners’ Centre. Each defibrillator costs around £1,000, and the society has teamed up with charity Welsh Hearts to donate equipment to Caerphilly Library, Caerphilly Visitors’ Centre, Caerphilly Workmen’s Hall, Blackwood Miners’ Institute, Rudry Parish Hall, Bedwas Workmen’s Hall, Caerphilly Castle, Abertridwr YMCA, Caerphilly’s Vanguard Centre and St Martin’s Church, as well as Caerphilly Miners’ Centre. 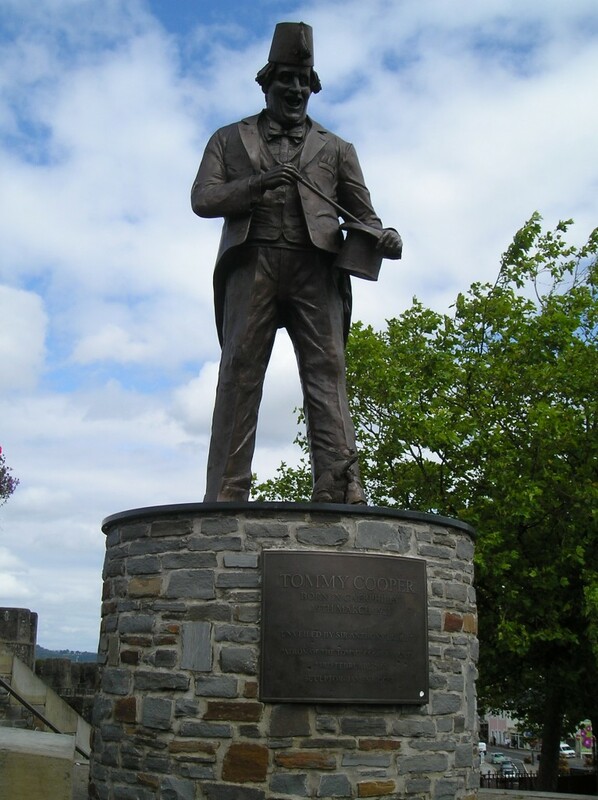 The society was originally set up in 2003 with the aim of funding a statue of the late entertainer, but now raise money for other charitable causes. On average, 487 people in Caerphilly County Borough die of heart disease each year, according to research from the British Heart Foundation. A further 22,100 people in the borough are living with a heart-related disease. In Wales, 8,850 people die each year from heart disease while 375,000 are living with related conditions. In the UK as a whole, the figure stands at 154,656 deaths each year, with more than seven million people living with heart and circulatory diseases – about one in nine Brits. Roughly a quarter of all deaths in the UK are due to heart and circulatory diseases. The figures have been collated from health survey data, GP patient lists and medical journals. The British Heart Foundation is appealing for donations to help fund vital research.